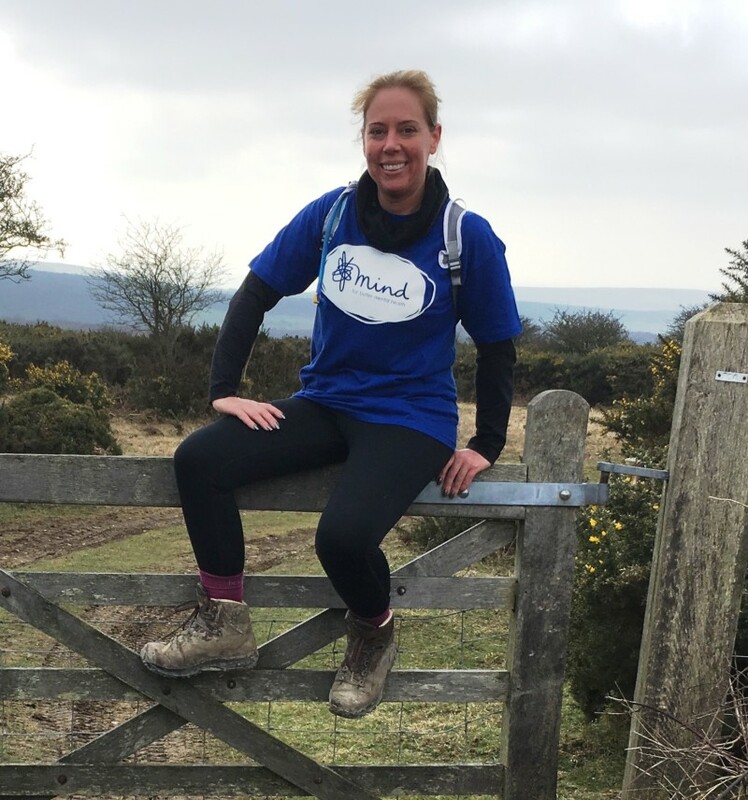 Next month our Senior Business Development & Recruitment Adviser Michelle Fraser is taking part in the 2018 Mind Hike, a tough 24 hour trek across the Cornish countryside, to raise money for this important charity. This week is Mental Health Awareness Week, so we talked to Michelle about the Hike and her reasons for taking on this challenge. What is the Mind Hike? It is a fundraising event for the mental health charity Mind. Two teams of Mind supporters will trek for 24 hours covering 40 miles through the spectacular Cornish countryside and coastline. The terrain is remote and rugged and we’ll cover a long distance with very little sleep - it’s tough but we'll draw strength and inspiration from our team mates and finish with an experience we’ll never forget. I have myself struggled with mental health issues, and I found comfort in sharing my experience with others which has been an integral part of my recovery. I felt like I wanted to give something back and help raise awareness to ensure that nobody has to face a mental health problem alone. Mind provide advice and support to empower anyone experiencing a mental health problem, as well as campaigning to improve services, raise awareness and promote understanding. In my book it’s a very worthwhile charity for a service that is increasingly in demand. Mental Health has been in the news a lot lately, do you think attitudes are changing for the better? Most definitely, there is far greater awareness and less stigma around those with a mental health condition, but there are now long waiting lists for NHS mental health services so a charity like Mind is vital. Training started really well with long walks up to 17 miles, however it tapered off slightly over the Christmas period whilst I was adjusting to new medication. I’m now back on track walking regularly and I hope all the training will stand me in good stead for the big event in June. What do you think will be the hardest part about it? The lack of sleep! Sleep deprivation never bodes well though I’m hopeful as a team we will push on through!